Give me the choice of the sea or a swimming pool and I’d opt for the sea any day of the week. Swimming pools might be handy for a cool down, but they have bland personalities. I grew up swimming in the sea and swimming in a pool feels like being on a bike which has stabilisers attached. 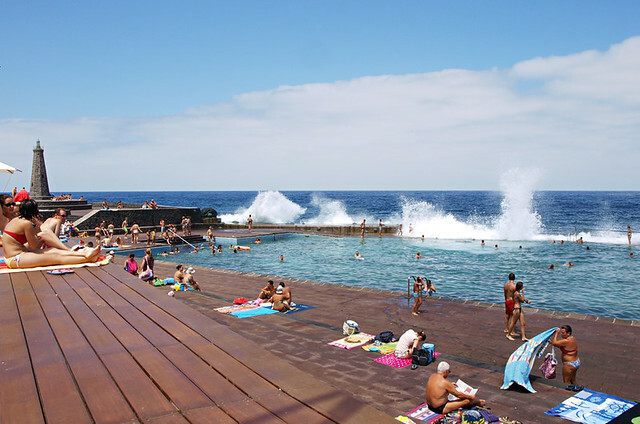 However, the Atlantic waters around Tenerife aren’t for anyone who’s on the nervous side when it comes to swimming. Strong currents and boisterous waves can make swimming in the ocean more of an extreme sport. But what if, like me, you find hotel swimming pools too sterile? 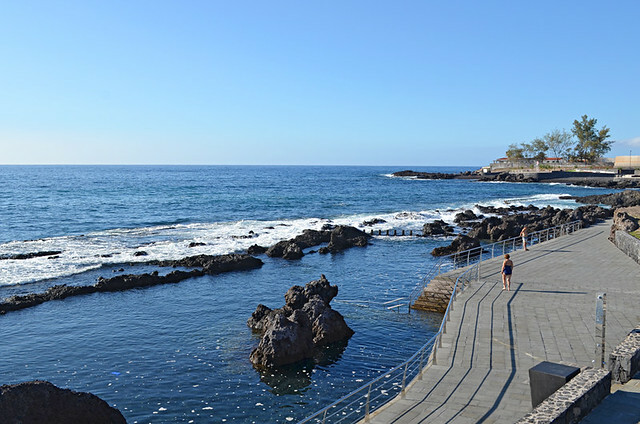 On Tenerife there is another option; an in-betweener where you can enjoy frolicking (I’m not sure exactly what that might involve, but it’s a good word) in the sea whilst being protected from its more malevolent traits. 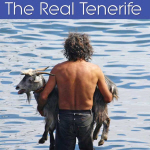 I’m talking about Tenerife’s rock and sea pools. 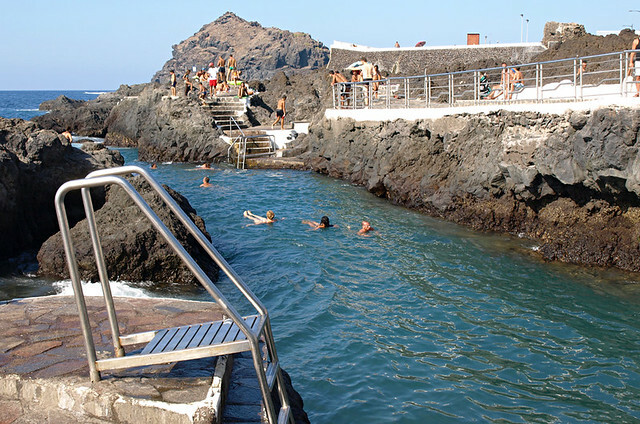 There are lots of rock and sea pools around the coast of Tenerife that act as natural or semi-natural swimming pools. Most, but not all, tend to be found along the north coast. Some are well known, others are way off the beaten tourist trail. These are ten of our favourites. 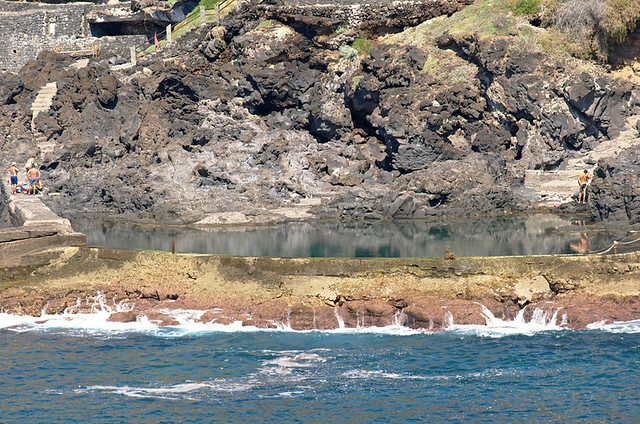 The most famous sea pools of them all, the series of lava rock pools and sea channels at Garachico. An example of adversity transformed into a tourist attraction; although most of the people who use them tend to be locals rather than daytrippers. There’s a pool for everyone from shallow affairs to deep plunge pools. 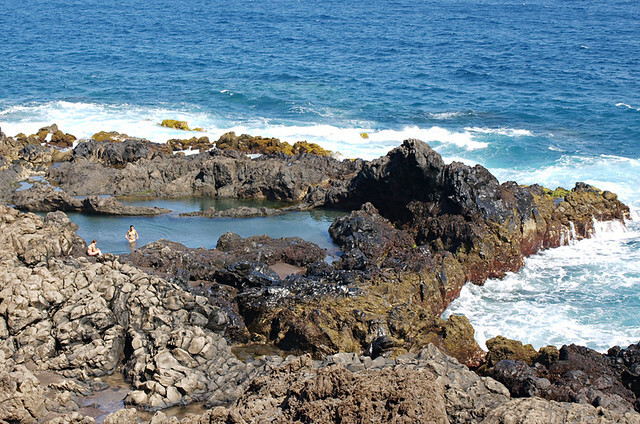 You don’t need a beach or Siam Park when you’ve got volcanic rock pools like these. 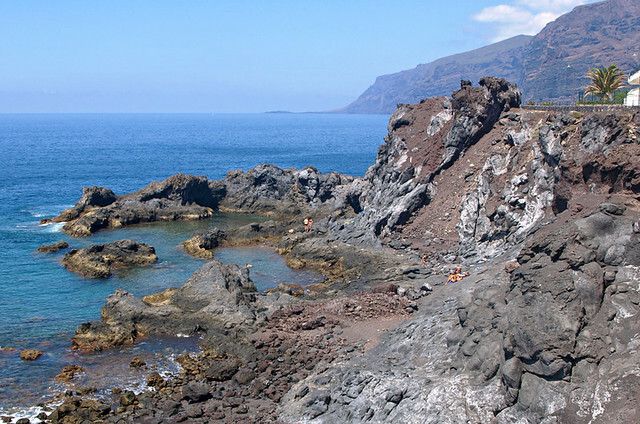 Over on the opposite coast from Garachico there are some excellent rock pools just below the Hotel Barcelo Santiago which are big enough for enjoying a leisurely wallow accompaqnied by views of La Gomera. There’s hardly a grain of sand to be seen on the coast which leads from Punta del Hidalgo to the foot of the Anagas, but in summer this stretch of coast is packed with sunbathers and campers taking advantage of the mini natural pools and the sea pool directly in front of the town. 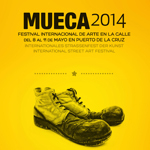 The coastline in front of the Gran Melia Palacio Isora at Alcala has been transformed over the last few years. 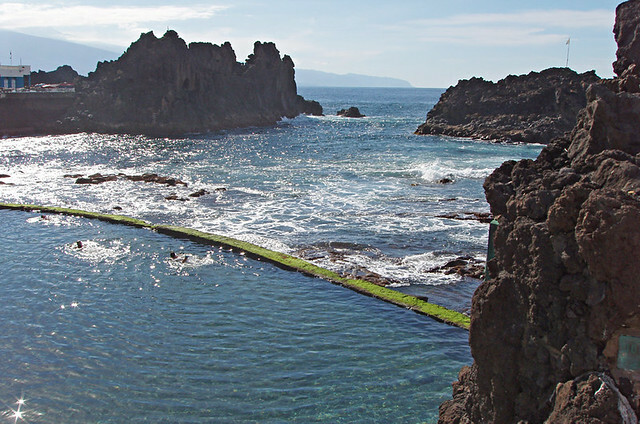 As well as now boasting an attractive black sand beach, the natural pool at La Jaquita is one of the most chic of its kind on Tenerife. 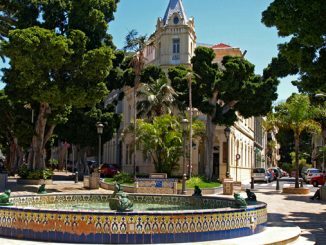 The pools at San Telmo only make themselves known at certain times of the year, but when they do they become a popular watery playground for local families. Small but perfectly formed, Crab Island is tucked away behind a housing estate. With views of the Los Gigantes cliffs and La Gomera to the west, it’s a great little spot for a sunset dip. There are wonderful little coves to be found all along the coast at Buenavista del Norte, some with rock pools to rival those at near neighbour Garachico. 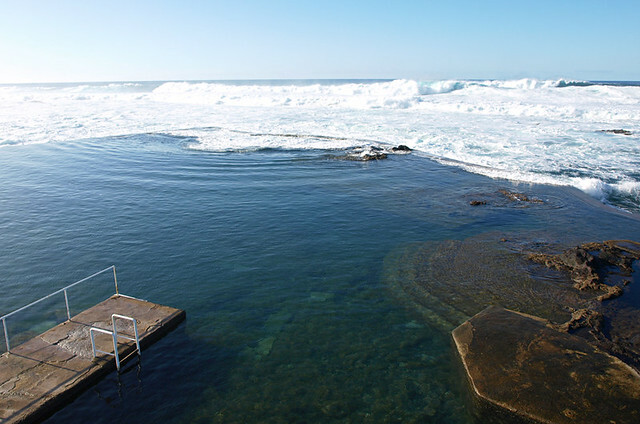 Although it might seem more like an outdoor swimming pool than a natural pool, the Atlantic rollers which are near constant on this part of the coast act like a wave machine. Stand on the ocean side of the pools for a power shower courtesy of Mother Nature. Further along the north coast is another cracker of a sea pool which can occasionally have a wild personality. 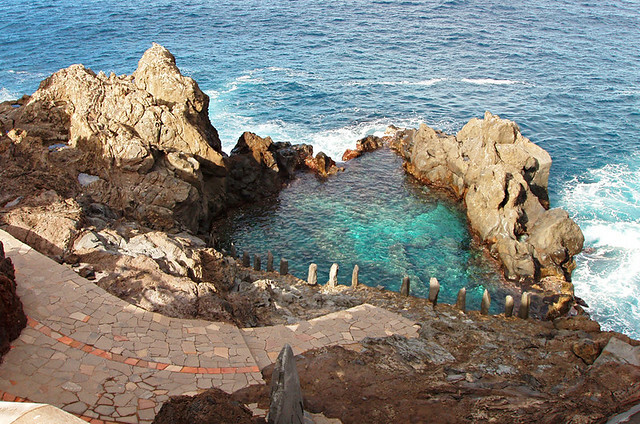 The pool at El Pris blends in perfectly with its rocky cove surroundings. 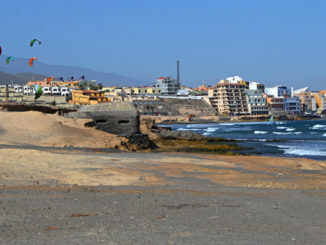 As a bonus, El Pris is known for its seafood. Work up an appetite splashing about in the sea, then feast on a mountain of camarones outside one of the basic bars behind the pool. 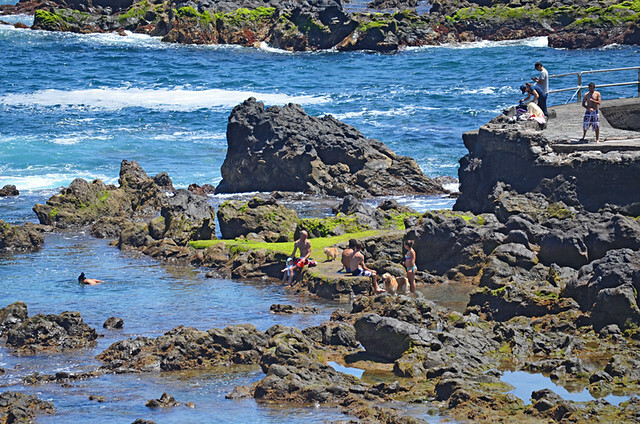 La Laja at San Juan de la Rambla is one of the sweetest looking rock pools on the island. The first time I saw it, it struck me as being quite enchanting; the sort of place a princess might go for a discreet dip. It’s not big but it is delightful with beautifully clear water. Seek out any of these during the summer months and the chances are you’ll be sharing the cool pools with an army of locals. In the winter months it’s a different picture altogether. Between November and May, there’s a good chance of having some of the more off the beaten track pools all to yourself. Really informative. Off to one of these rock pools this week. Thanks !